Hmmm…, I am wondering why I’ve been lazy taking a note lately. 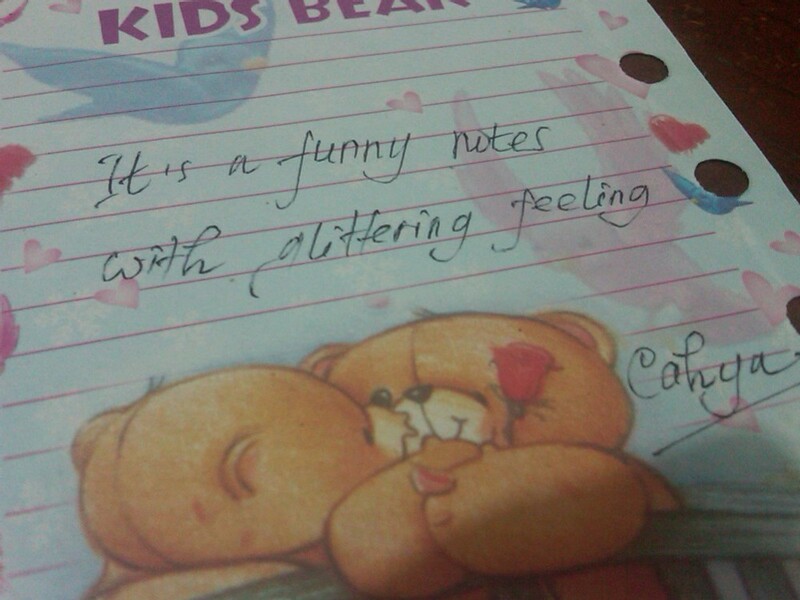 Perhaps since I am not good at writing, my hand writing somehow a mess, yet, I can not deny, that I love writing. What a glittering feeling.